St. Joseph now has another Associate Pastor serving our parish. 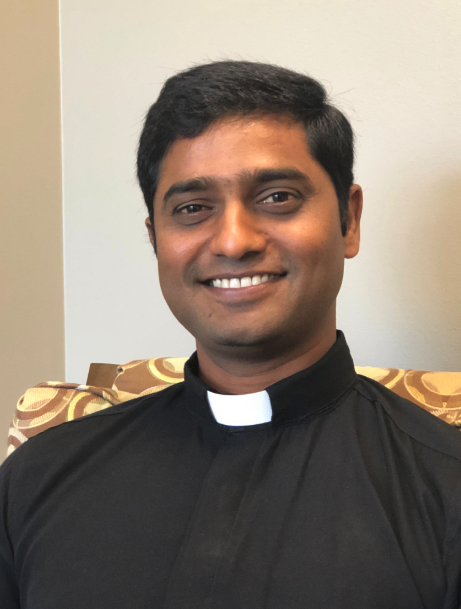 Father Chandra Kodavatikanti comes here from Jonesboro where he was Associate Pastor for both Blessed Sacrament Church and Blessed John Newman University parish. He was ordained in 2010 and his Home Diocese is in Nellore, India. Father Chandra was appointed to the Diocese of Little Rock in June of 2017.